JUNKET MAYS!!! A much smaller set of Coins were created in 1963 by Salada/Junket. 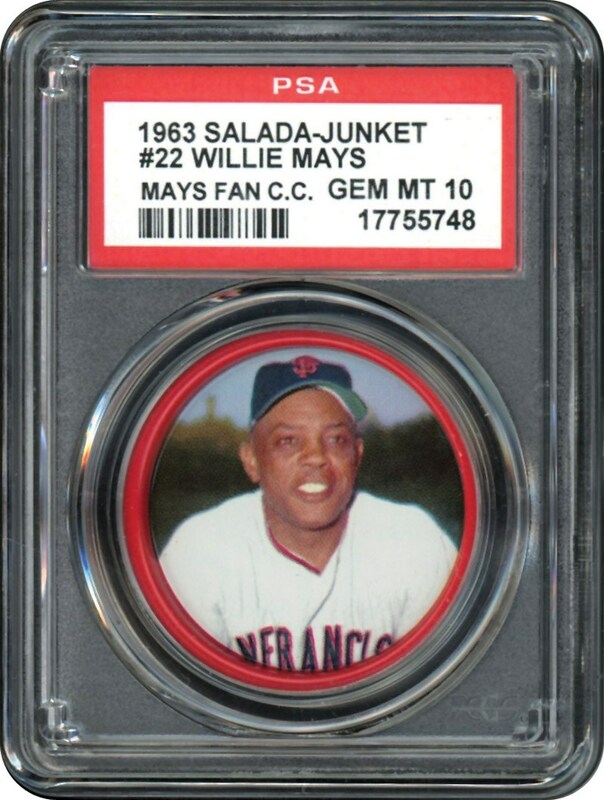 The 63 Coin set was called "All-Star Baseball Coins" and included most of the games top players including Koufax, Aaron, Clemente, Mantle and the offered MAYS. Unlike 1962, the Coins were made of metal and measured a slightly larger 1-1/2" in diameter than the plastic 1962 Coins. 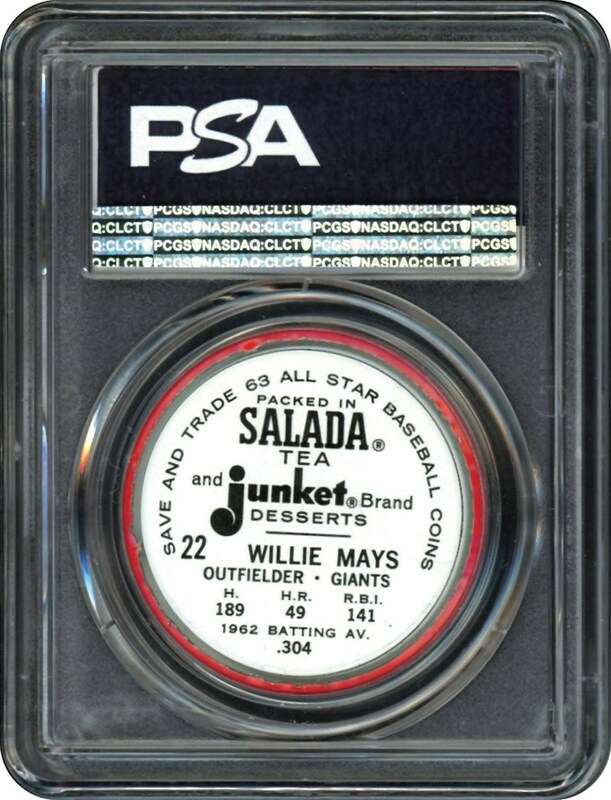 This MAYS Coin is one of five in the PSA 10 GEM MINT holder. Can't get any better than a 10!! !